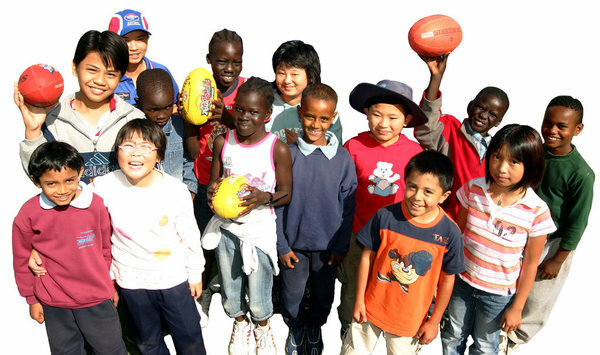 The West Australian Football Commission’s Multicultural Program aims to introduce young people from culturally and linguistically diverse communities to Australian Football. Through consultation and collaboration with schools, community football clubs, local government, refugee and migrant service providers we engage new and emerging families in a traditional structured sport which involves not only the children through participation but also embraces other family members through coaching, sports training, umpiring and volunteer roles. The program's main objective is to facilitate club registrations through initiatives tailored for culturally and linguistically diverse young people. Exposure programs to assist new and emerging communities connect with the wider community have been conducted in Intensive English Centres, English Second Language schools, mainstream schools, non-government organisations & government organisations since the programs launch in the South Fremantle District in 2005. The West Australian Football Commission would like to thank the West Australian Government - Department of Sport and Recreation for their continual support of the program.